James Grettenberger Morrison, 55, of Warren, Pa. died Wednesday, March 7, 2012 in the John and Orpha Blair Hospice House following a brief illness. Born March 22, 1956 in Warren to Beverly Grettenberger Morrison and the late Charles Morrison, he lived in the Warren area his entire life. Jim was a 1974 graduate of Tidioute High School and earned his English writing degree from the University of Pittsburgh and his Master’s degree in English and History from Edinboro University. He was an educator of History at Warren High School, teaching Junior and Senior classes. 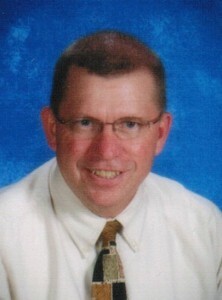 He was the Social Studies coordinator for the school district and also served as head of the Social Studies department. Additionally, Jim was the Audio-Visual Director. He was a member of the PSEA and NEA, Trouts Unlimited and a former member of the Warren Elks and Lakewood Rod and Gun Club. He was an avid outdoorsman, with a proclivity for fly-fishing. He enjoyed coaching Little League baseball and would do anything to be with his kids. He was a parishioner of Holy Redeemer R.C. Church. In addition to his mother, Jim is survived by his wife – Jeana White Morrison, whom he married June 29, 1991 in Holy Redeemer R.C. Church; three children – Andrew J. Morrison, a student at Mercyhurst University, Alexandra J. Morrison and Aiden J.C. Morrison, both at home; seven siblings – John Morrison and his wife, Judy of Warren, Karyl Ryan and her husband, Tom of Pensacola, Fl, Roger Morrison and his wife, Kim of Warren, Gretchen Morrison of Warren, Greg Morrison of Baltimore, Md, Karl Morrison and his wife, Kathy of Warren, and Aliesa Gionti and her husband, Joe of Titusville, Pa; his father and mother in law – John (Jack) and Joanne Gnagey White of Warren; and several aunts, uncles, nieces, nephews and cousins. I am so sorry for the entire family’s loss. Mr. Morrison was my History teacher 12 years ago and he was one of my favorite teachers. I can even remember the room and where I sat. He was a teacher that actually cared about his students. It wasnt just a job to him. He was an amazing person and I am sure that he is in a better place. My condolences to the family. My daughters and I offer our deepest condolences to you, in our hope that you will find the strength to live in peace as Jim rests in peace. Our deepest sympathies, we have you and the kids in our prayers. Our thoughts are with all of you at this difficult time. I was able to student teach at Warren in 1995 and got to know Jim at that time. He was a truly loved, respected man of strong character and for that be very proud of your husband and father. These are the traits that we all can learn and pass on from people like Jim. I was one of Andrew’s professors last term. I just wanted to extend my condolensces to the family during this difficult time. Please know that our thoughts are with you. Jim was one of those people who made your life better just by being around him. He could be funny, but never at someone else’s expense. He had a quiet drive that kept him going to school to better himself when it would have been adequate to just coast, and then when he had bettered himself, he made the lives of his students better, and devoted himself to his wife and family. And, back in the day, we had a lot of fun. My sympathies, Jeana and your entire family. Sending our heartfelt condolences to you, your children and to your family. We hope that your treasured thoughts and precious memories will bring you comfort. We are so saddened by this news. Jeana, Our thoughts and prayers are with you and your family at such a sad time.Jim was such a great family man and person. I’ll always remember talking to him when he would sometimes stop in front of our house.He will be missed by everyone. So sorry for your loss. My sister, Melissa Becker, worked with Jim. She always had wonderful things to say about him. He was her mentor. You are in my thoughts and prayers. Sending my heartfelt condolences to Jim’s family and friends. I shared a room with Jim for two wonderful years at WAHS, and he was so supportive of me during my time teaching there. Jim’s brilliant wit and dry humor helped me through many tough days. He was a positive light that reached many hearts, and his memory will live on. Room 121 will never be the same. Godspeed my friend. Thank you for your friendship over the years, and for being a good role model in our youth. You were a great man. And I expect you to have a stream full of native trout waiting for me. I don’t need to tell you the kind of person Jim was – you all know better than I. His quiet humility, dry sense of humor, kindness for all that came in contact with him, are just a few things that I admired in him. And while his life with you has ended, embrace his memory and embody his character. I am so sorry! Please know how much all of your “Beaty Family” cares about you. Sending love and hugs to you all. Alisa & Morrison family! Please accept our sympathies during this time. I remember with alot of fondness & honor to work with Jim at the newspaper when I was a high school student & Jim was a great guy to work with! He always gave me encouragement which I have always treasured! Jeana, Our deepest condolences, you and your family have been and will continue to be in our thoughts and prayers. Jim was a super person and will be missed by many. I was just thinking about Mr. Morrison the other day thinking about what he taught me and how to use it in a class that I am taking now. He will be greatly missed. I am greatly saddened to hear of Jim’s passing. My heart aches for you and your children. Althought I left Warren in 2000, my Beaty family always remains near and dear to my heart. Know that you and your family will be in my thoughts and prayers. May God’s grace be sufficient to see you through this difficult time. We are sorry for your loss. Our deepest sympathy to you and your entire family. You are in our thoughts and prayers. Our heartful sympathy and daily prayers are with you as you grieve and find peace and comfort. You are in my heart, thoughts and prayers on the loss of your husband, dad, brother, uncle (Jenny/Stacey). Dear Jeana and kids…I am so very sorry for your loss. We were all hoping and praying this would not happen. While we know where Jim is, it doesn’t help much when it comes to your pain. Please know that many will be praying for your grief. There will come a time that you will think of him with joy and laughter though it’s not a fast journey getting there. Again I am so very sorry you have to go through this. Jim was a high school classmate of him and I remember him as a funny, bright, gentle young man. May you find comfort in his loving memory.